The Happy Sprinkle : Sprinke Everyday! Well hello there...it has been a while! I have been a bad bad blogger! I was in a bit of a slump but...I'M BACK. So much has changed since my last post. I have moved to a new town (just outside of Calgary), have done a ton of renovations, got a kitty (named Ope) and the biggest one I changed jobs. I am now the Chief experience officer at Kids Up Front. Kids Up Front provides children and teens with experiences that foster possibilities, passions and dreams … one ticket a time. This is such an amazing opportunity and I am so very happy. I have been there since October 1st and I have loved every single day. 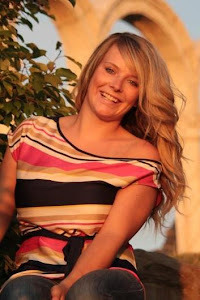 I enjoy getting up and going to work every day and I have a HUGE smile on my face. I think I have found where I am meant to be and it feels so good. I really do know what people mean by "do what you love", great advice. Kids Up Front takes unused, donated, last minute tickets to sporting events, theatre, events/concerts, ballet-really anything that a child/teen 0-17 can attend. Since the year 2000 KUF has given 280,000 tickets to awesome kids and families in Calgary. We partner with registered agencies in Calgary and help to get some amazing and deserving kids to experience something they might not have otherwise.With the ticket donations, Kids Up Front can alleviate their stresses and challenges by opening doors that let them safely explore the world around them and gain new experiences. I feel like I get to sprinkle every single day and it is so awesome! So my sprinkle challenge today is to explore and learn more about Kids Up Front or even just look into a charity that you are interested in and donate something...your time, money, tickets, swag (jersey, tshirts etc), movie tickets or whatever it is that the charity needs. We are in need of Zoo Passes-they are a hot ticket and we are all out. Also, Boo @ the Zoo. ...and I will leave you with that. 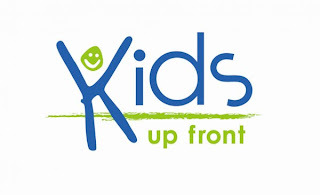 Facebook: Kids Up Front Calgary, like our page! One Little Ticket...One Big Lift!